Synthetic drugs, like methamphetamine, are replacing plant based drugs, like cocaine and heroin, across Asia according to a new report released by the United Nations (UN). Methamphetamine based drugs are a "critical emerging threat to the region", said the report released Thursday by the United Nations Office on Drugs and Crime (UNODC). In the United States we watched as methamphetamine production and addiction started in Oregon and moved east like a wild fire engulfing towns and cities across the country. In the last few years methamphetamine production has popped up in almost every country in the East and South-East Asia region, a region that had been previously dominated by the opium and heroin trade. The report claims that Myanmar's eastern border region is the main source of methamphetamine in that part of the world, with laboratories using materials smuggled from China and Thailand. The labs are being operated by organized crime groups looking to increase their profits, the extremely addictive meth is cheap and easy to manufacture and is a huge money maker. All three countries in the region were producing Amphetamine-type drugs (ATS) back in 2009 and these types of drugs were in the top three drugs used. 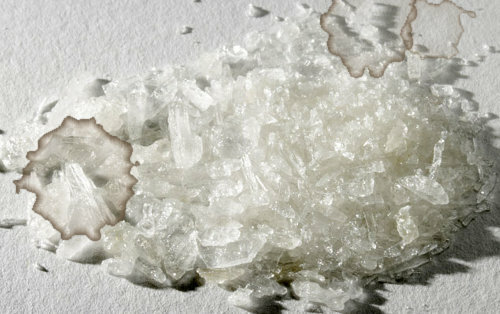 Ketamine has become a favorite as well, although it is not an ATS, but, typically is used in conjunction with drugs like methamphetamine and Ecstasy or as a cheap alternative to Ecstasy. In 2009, 6.9 tons of ketamine were seized in east and Southeast Asia, up from 6.3 tons the previous year and about 85 percent of the global total, said the report. "The increased manufacture and use of ATS is a worrying trend and a growing health challenge for the region," UNODC executive director Yury Fedotov said. The growing problem will only get worse as ATS' travel further from the source, new labs will pop up all over the place just as they did in America, jails will quickly fill up to capacity with drug users. "While overall development levels in many countries are climbing, and the lives of millions are improving, the spread of ATS use is a sad -- and unnecessary -- situation and one which must be tackled with immediate urgency." Between 3.4 million and 20.7 million people in the region had used amphetamines in the past year, said the report, out of 14 million to 53 million global users.